Hello stampers! 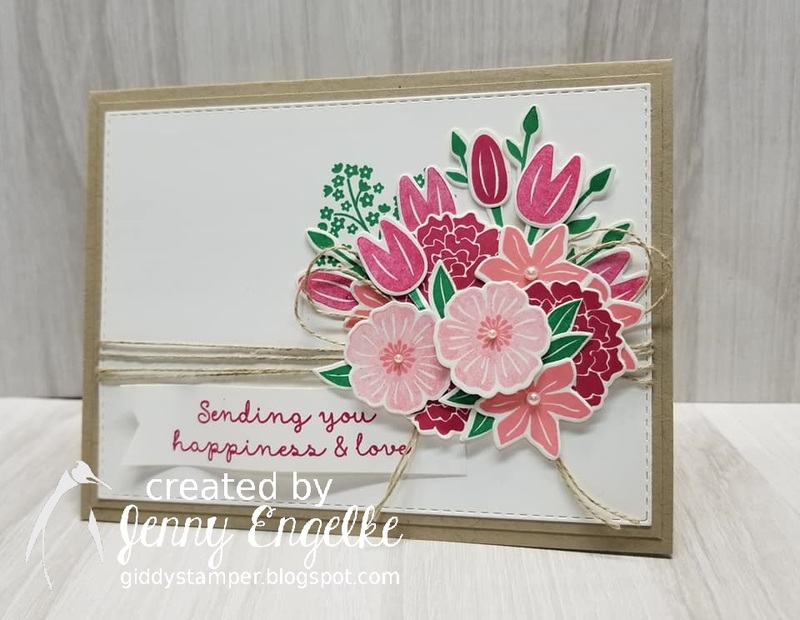 Today's card is my design team card for Hand Stamped Sentiments Color Challenge #312 featuring Call Me Clover, Flirty Flamingo, and Lovely Lipstick. I also used the sketch from As You See It #197 for inspiration. 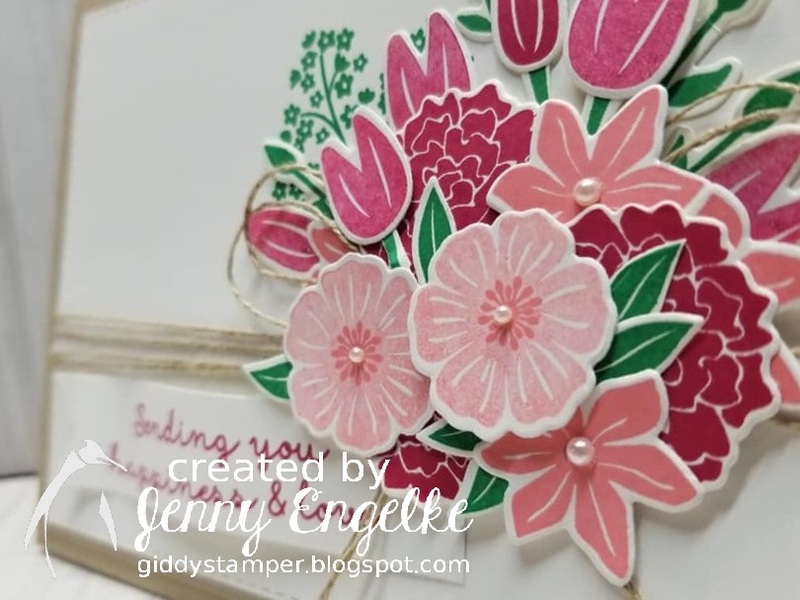 I achieved the variation in color in my flowers by stamping off once before stamping a few of the flowers. I love the difference this makes! This is just gorgeous, Jenny! I love the different shades of florals you created by stamping off, and the linen thread adds a nice organic touch! Thanks for playing with our AYSI sketch this week! Beautiful! Jenny, this is a total stunner! I love the way you've created such depth in your bouquet through both the layering of diecuts and the colouring. Just a total WOW! 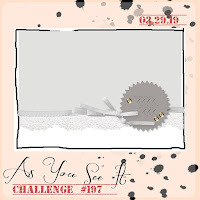 Thank you for joining us at As You See It challenge. Oh, my, such a lot of work has gone into this card, Jenny. That layered bouquet is just stunning with it's beautiful colours and the texture of so many different flowers and leaves. Just beautiful. Thanks for playing along at As You See It Challenges.